2) Institute of public health, department of microbiology - Medical School, University of Montenegro, Podgorica, Montenegro. Vector borne transmissible zoonoses are becoming more and more important in the group of emerging and re-emerging infections. 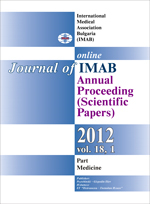 We present the characteristics and actuality of this group of infectious diseases in Montenegro for the period 1998 - 2011. In examinations, standard epidemiological, clinical, serological, pathohistological diagnostic methods are employed. Natural conditions in Montenegro make it an important endemic area for more vector borne transmissible zoonoses. The changes of ecological characteristics, the vectors and infective agents, present the accidence for expansion and increasing importance of these infections in national pathology. According to the fact that it is an international port of nautical, continental and air traffic, Montenegro has responsibility for control and management of diseases belonging to the group of the travel and tropical diseases. Key words: Transmissible zoonoses, expansion, specter. 3. Burrascano J.J.: The new Lyme Disease. Diagnostic hints and treatment guidelines for tick-borne illneses. Twelth ed. Copyring 1998 Lyme Net, 1 - 25. 4. Gray J.: Tick Borne Diseases interaction. I-st Congress of the European Society for Emerging Infections, Budapest, Hungary, 1998, Abstract. 6. Laušević D. Prevalence of Coxiella burneti antibodies in sheep in the territory of Montenegro. Acta Veterinaria, ISSN 0567/8315512/3 p. 149 - 156, 2001(eng) R.52.3.0 Journal Citation Report. 10. Olson JG, Paddock C. Emerging Rickettsioses. I-st Congres of European Assotiation, Budapest, Hungary, 1998, Abstract 55: 125. 14. White NJ. Malaria. In: Cook GC, ed. Manson's tropical diseases, 20th ed. London: WB Saunders 1996:1087–1164. 16. Harkess JR. Ehrlichioses. Infect. Dis. Clin. North Am. 1991 Mar;5(1):37-51. [PubMed].